Floors are made from a variety of materials, and therefore need to be cleaned using different equipment. Indeed, if you were to use the wrong kind of cleaning equipment, you could end up damaging the floor permanently, so it’s important that you do things the right way. Regardless of what kind of floor you have, there is right piece of equipment for you. This guide will run through all the common materials used in flooring, and then suggest the right equipment for the job. In addition to the floor material itself, it’s important to take into consideration the kind of finish that was used on the wood to treat and protect. For most floors, this means a coating of either wax or polyurethane. With wax floors, you shouldn’t use any water in the cleaning process at all, as water will compromise the integrity of the wax. For these floors you’ll need to use sweeper brooms, dust mops, and vacuum cleaners. A good, basic vacuum for this purpose is the Truvox VA20, which combines power and plenty of capacity for small spaces with wooden floors. If the floor has been treated with polycrylic or polyurethane, you can instead use a combination of water and mild soap to clean. The traditional way of doing this is by damp-mopping the floor and then wiping away excess moisture with a microfiber cloth. For commercial purposes you may well want to continue using the vacuum instead. People generally look to laminate their floors in order to preserve them with a very resilient material. Despite this, excess water can still damage them, so, as with wooden floors, it’s a good idea to vacuum them instead wherever possible. A good choice for cleaning professionals is a ‘backpack’ vacuum cleaner, which allows mobility while moving around the floor, while also providing plenty of power, which is important, as laminate floors can also tend to be ‘sticky’ with dirt. These floors are an eco friendly yet tough type of flooring that can handle robust cleaning machines on them. They handle hot water just fine, and you can also add detergent to the water in order to enhance the ability for the water to break up dirt and grime. In terms of equipment, a good, all-purpose scrubber, such as the Truvox Multiwash MW340 will allow you to cover the entire space of the floor, while also providing powerful cleaning strength for a thorough clean. While stone is a tough material, it’s also surprisingly easy to damage. Any cleaning solution that has an acidic component, including ammonia, bleach, and vinegar, can cause severe damage to the floor, and mark it up heavily. Any soap that you use on a stone floor should be checked carefully to ensure that it’s pH-neutral. It’s also important to clean stains as soon as possible, because a stain can become embedded into the stone, and then nearly impossible to remove. In terms of tools, you really want a strong steam cleaner, such as the Kranzle – Therm CA11/130. This hot water high-pressure cleaner is small enough to be easily portable, but robust enough to clean stone floors with ease. Treat both ceramic and porcelain floors in the same way. The first thing to note is that these surfaces don’t handle water well, so washing the floors is never a good idea. If the floor is in need of a mop, use a soft cloth only, and never scrub the tiles with anything that has bristle brushes. Use a minimum amount of water to get the job done, and never use acidic products, such as vinegar, chlorine, or ammonia as these will eat away at the gout. The best thing to do to keep this surface clean is to use a vacuum cleaner daily, however, make sure the vacuum cleaner has a bare floor or set the beater bar to the highest setting to ensure that the cleaner doesn’t scratch the tiles. For this reason, a good choice is a light, upright vacuum, such as the Columbus XP2. One of the most common kinds of flooring remains carpet, and as such, the cleaning rules for carpeting are well-established. Moist of the dirt and debris can be picked up using a standard vacuum cleaner and regular cleaning (some good examples of vacuums above). Occasionally you’ll need to do some deep cleaning in order to pick up the remainder, which can cling to the carpet fibres. A good extractor is what you’ll need for the deeper cleaning projects. For this cleaner, you want something sturdy and powerful, and a good choice here is the Trubvox HM55-100, which is both economical and powerful enough to be able to clean large spaces, such as conference rooms, hotels and offices. Aside from a good vacuum cleaner, which is essential across all surfaces, understanding the different kinds of floors that you’ll be treating is essential. 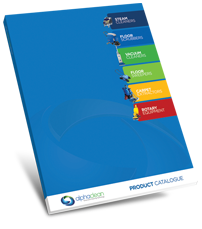 Because each type of floor requires different kinds of equipment, it can be expensive to acquire it all in one go. If you’re starting out as an independent contractor, or launching a new cleaning business, it might be a good idea to start renting equipment first as you establish your business. AlphaClean’s rental program provides a blend of equipment that will meet all your needs. 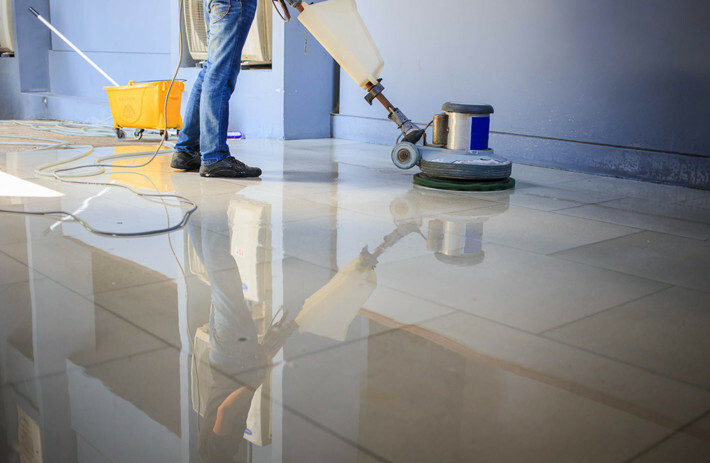 You should never try to clean floors with the wrong equipment, as the damage will likely be your responsibility to repair under any contract that you might sign. Equally, don’t accept contracts for floors that you don’t have the right equipment for, unless you are able to hire the appropriate machinery.